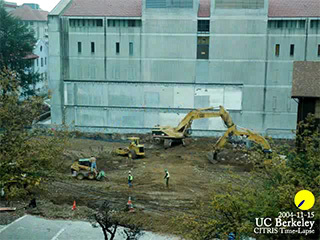 The CITRIS time-lapse project is an attempt to capture the multi-year construction of the new CITRIS building at extremely high resolution. A 6-Megapixel Nikon D70 digital SLR camera is used to generate raw frames during construction hours at 18 seconds/frame. These are run through processing to generate a current web view (now discontinued) as well as several time-lapse movies. 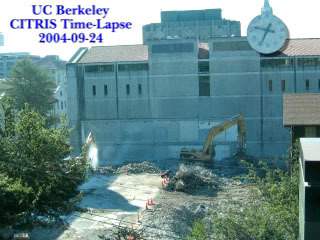 We post-processed them into an archival HDTV 1080p movie summarizing the construction. 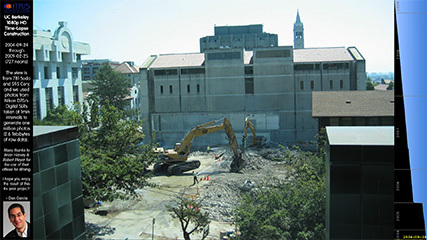 The first day of our time-lapse project; some excavators are breaking large portions of concrete down and others are gathering the debris into piles to be hauled away. They keep the dust down with lots of water. The Campanile clock face has been superimposed to indicate the time. Every frame from our project for this time span stitched together into one big movie. There's an iconic clock in the lower-right indicating the time; the day is below it. 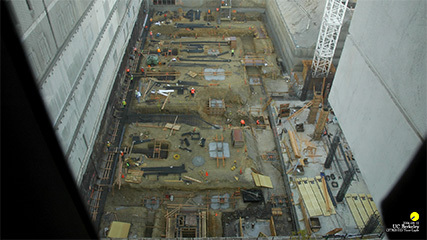 Every frame from our project on this day, viewed from our perch in Cory Hall. The time is indicated on the lower right. The final movie of our time-lapse project, with one day per frame (taken every noontime) for 727 construction days. The day is indicated on the right by the moving bar; the graphic displays frames (vertical axis) vs time (horizontal axis). 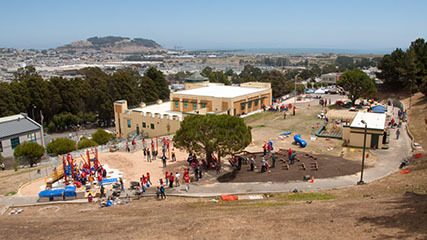 On 2010-07-31, over 250 volunteers showed up for a Kaboom-led community event to build the Bayshore Heights Park's new playground in Daly City, CA. This movie represents 300x real time (images captured at 10s/frame and displayed at 30fps). If the time is outside of weekday daylight hours, it says "I don't work overtime! ", sleeps for one minute then exits. 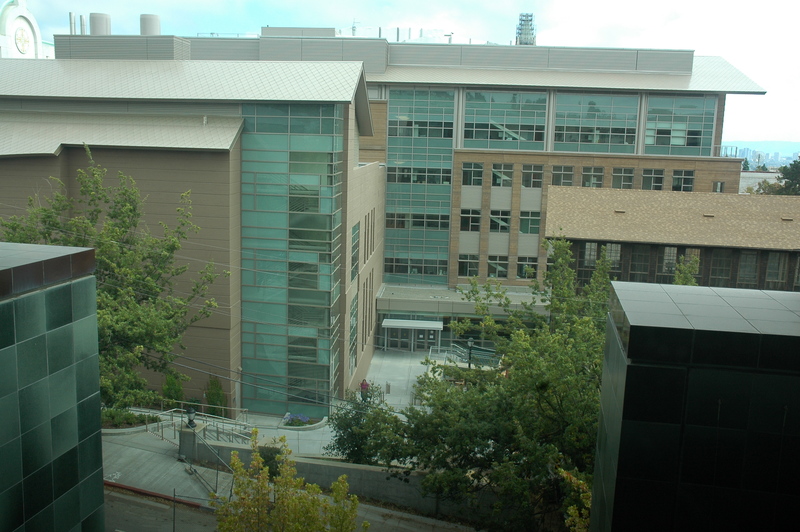 It copies the local 6 Megapixel image to the web as the current high-resolution image. There are ~2,500 images per day, each of which is scaled down, cropped and emblazened with a date and time icon signature based on when the photo was taken. This is done in Adobe After Effects, which saves the movie as archival 30 fps MPEG-4 Best-quality movies (~200 MB). The movies are then exported as Internet-streamable MPEG-4 Medium-quality movies using Apple's Quicktime player and uploaded.